Refusing to let one another face any of their hardships alone, they set out together on a journey toward discovery, hope, and freedom. But what they don't expect are the heartaches, betrayals, and shattered lives that lie waiting. 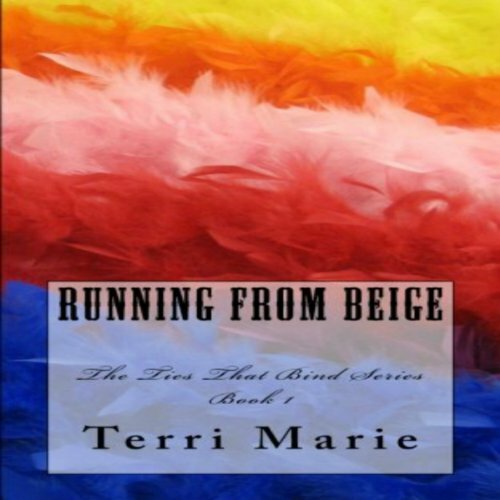 Where does Running From Beige rank among all the audiobooks you’ve listened to so far? I have only listened to a few audios but have to admit, that after listening to Running From Beige, I will be ordering more! I enjoyed listening to the story with inflection and feeling! Have you listened to any of Mary Ann Jacobs’s other performances before? How does this one compare? I have not had the opportunity to listen to any of Mary Ann Jacob's performances before but would definitely chose another audio by her again! I truly enjoyed her range of voices and her ability to convey meaning and feeling throughout the story! One of the most poignant parts that moved me was when Karen's husband finds her at the conference and all that happens in that time period moved me to tears. If you enjoy a book where women look after each other and help to make each other better, then this is the book for you! I adore the main characters, Connie, Suzy and Karen!! They each have their burden to bear, some worse than others, but the way they back each other up make me love the thought of best friends forever, through thick and thin!!! Read this series and you will not be sorry!